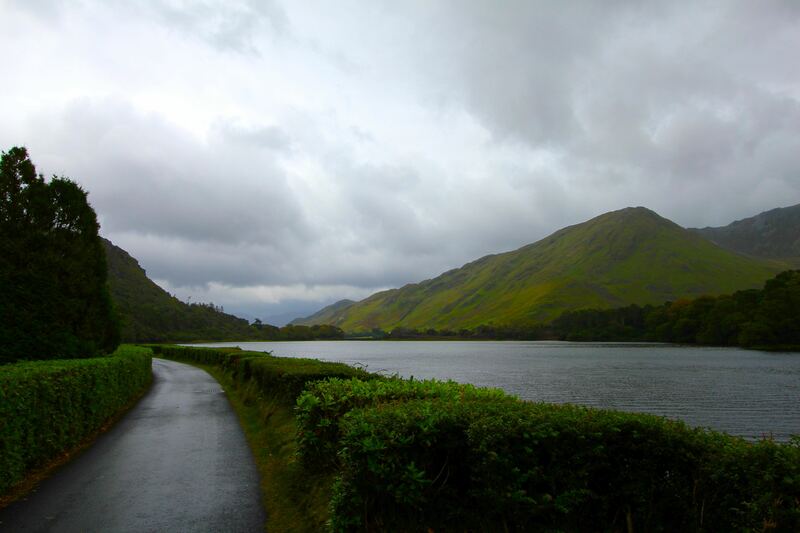 On Day 4, we left our hotel in Galway and took a tour through the mysterious Connemara region of Ireland, seeing the largest Fjord in the country and the secluded Kylemore Abbey. In a region of Ireland that was one of the most decimated during the potato famine. After making our way back to Galway in the evening, we boarded our train for our return trip to Dublin. Then, our last day in Ireland, we enjoyed a hop-on-hop off bus tour of Dublin seeing Trinity College, St. Patrick’s Cathedral, and ending our day with a tour of the Guinness Factory. Leaving Dublin at 4pm for our trip back to the airport and then finally arriving home in Germany at 10:30pm. Ireland exceeding both of our expectations in beauty and how friendly everyone is. 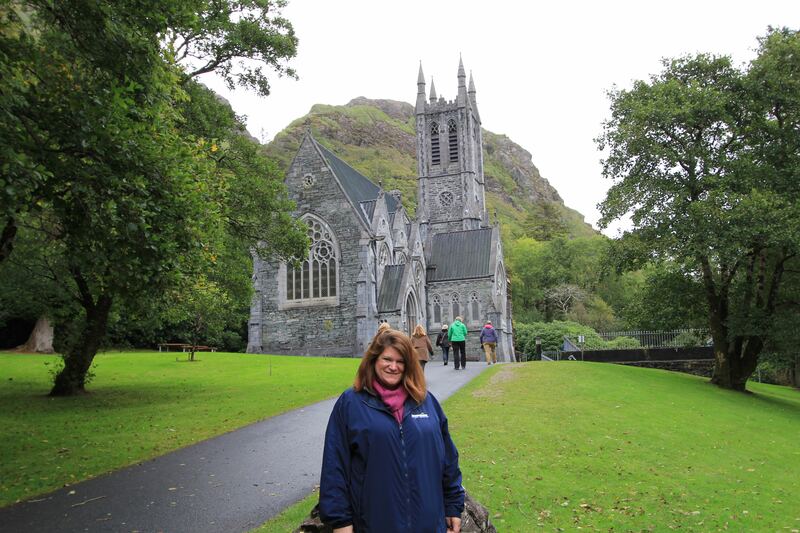 Originally, Ireland was going to be just a country we checked off our list of places to visit, but it turned into a place where we both know we will return someday to see the Emerald Isle. 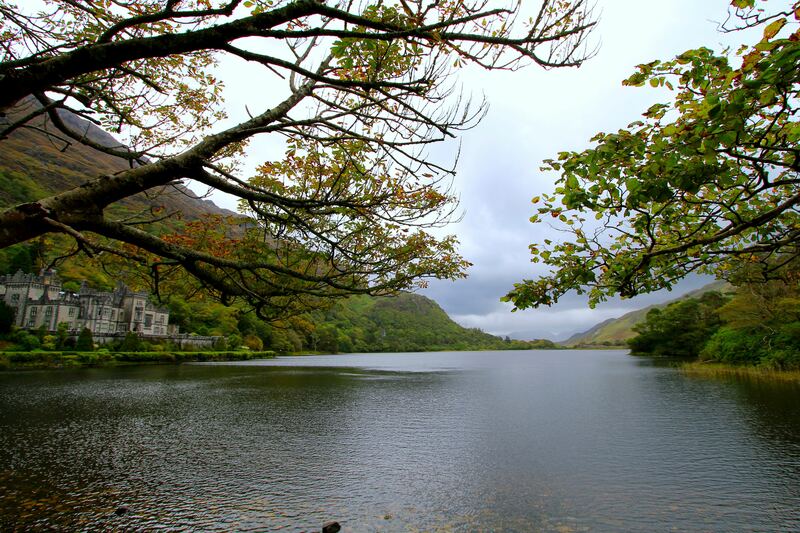 We left Galway by bus and toured through the Connemera Region of Ireland to Kylemore Abbey. After arriving back to Galway, we boarded our train for our return back to Dublin. 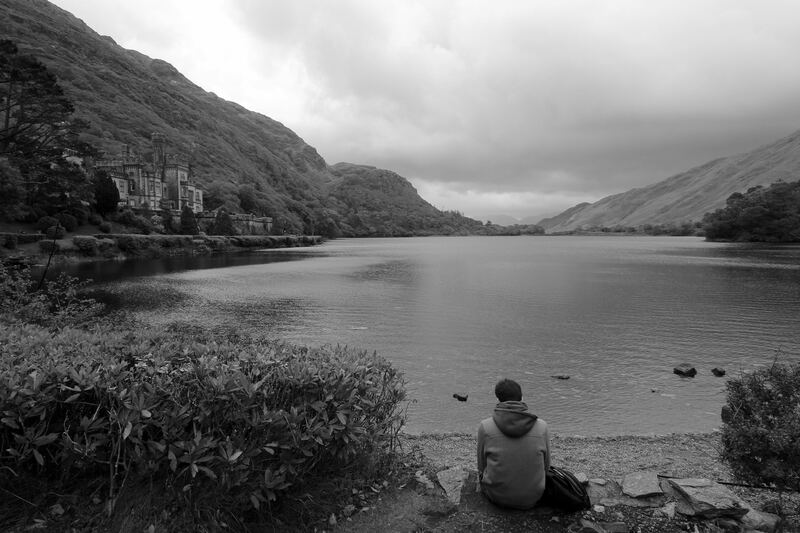 This is the largest fjord in Ireland. A Fjord is a region of land where the Ocean goes into the land through a valley created by glaciers during the ice age. While the Fjords we saw in Norway were absolutely amazing, this one is beautiful all the same. 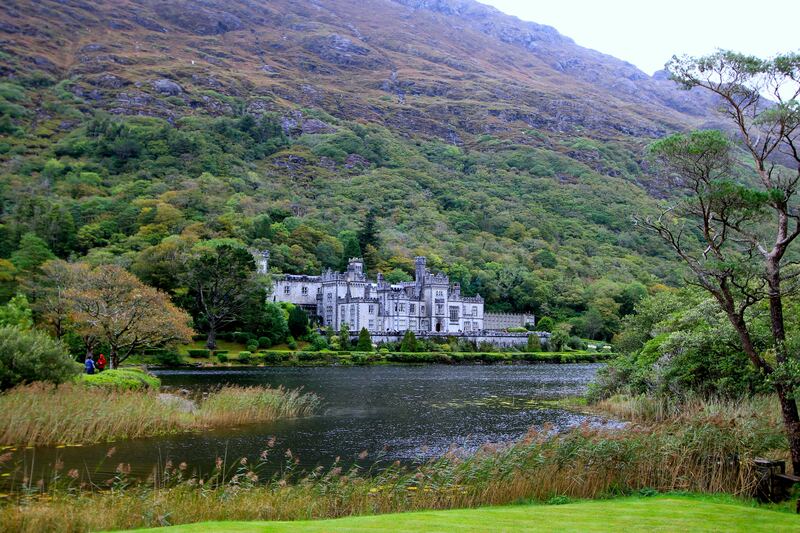 To be honest, I had not seen any pictures of the Kylemore Abbey, so I did not know what to expect when we arrived. From the road, one would have no clue that this place even exists since it is in such a remote location. Originally, this was built as a home by a wealthy doctor Mitchell Henry from London who’s family became wealthy in textile manufaturing. He and his wife Marget lived here in the late 1800s. There are 70 rooms in the home. The walls are made of 3 feet thick granite & limestone. And sits at the bottom of small mountains the circle a lake. On the site are the Gothic Church, the mausoleum that houses the remains of Henrys, and victorian gardens. The sad story is that after their 5th year here, on a trip to Egypt his wife got sick and died. On the site, he built a small replica gothic cathedral church in her memory, and he lived here on the estate by himself until he died 15 years later. After the Henrys died, the land stayed in the family and was later sold to a group of nuns who had fled Belgium during bombings in World War I. The nuns turned the home into an Abbey, where they held school for girls to enter the nunnery. And, today, it still operates as a functioning Abbey with the grounds and home open to tourists to help with funding their efforts. 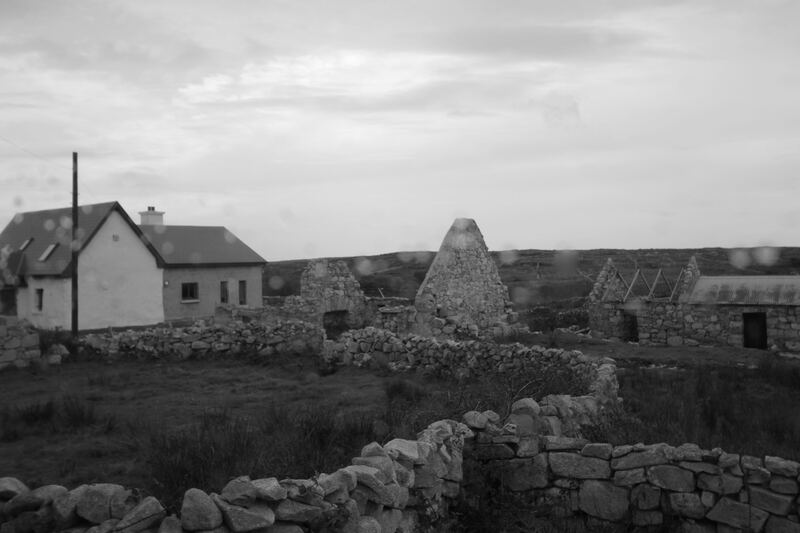 The Irish Potato Famine story….this is a “Famine Ghost Town”. The famine occurred between 1845-1852. 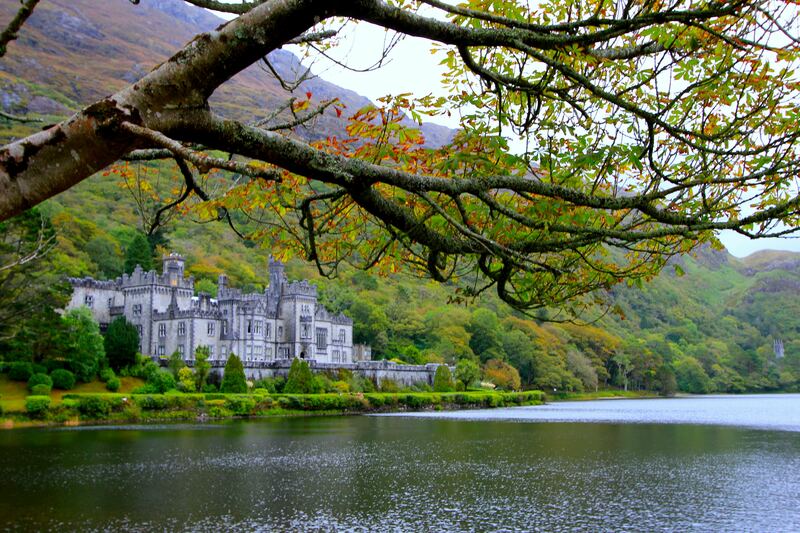 In 1840, the population of Ireland was 8 million. In 1860, it was 6.5 million (for the whole island of Ireland). Over a million died as a result and over a million left Ireland. 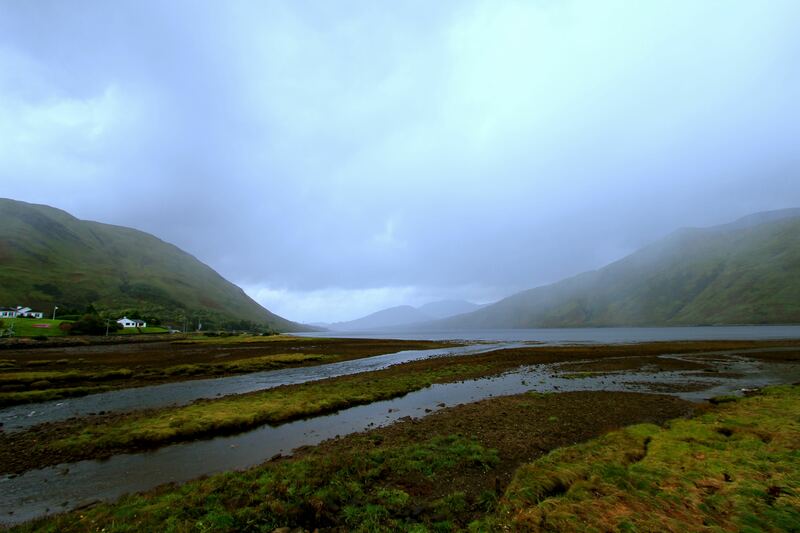 At this time, the land was owned by wealthy British nobles who had taken over the area centuries before. The people living on the land paid taxes in the form of either food of money made from selling food. The primary food grown was the potato because it produced a lot of potatoes from just one planting. From the potato, one can eat it, make bread, and a lot of other things that could not be obtained from other crops. The famine was caused by a fungus that causes potatoes to rot in the ground, actually started in Mexico, spread to the eastern United States, and then made its way to Europe. Why was this such an impact to Ireland? The potato was the main source of food and income for the Irish at this time. So, as the crops began to fail year after year, the Irish could not eat nor could they pay taxes, and therefore they were forced to leave their lands and homes. They either fled to the Burren region of Ireland (and we saw how desolate that place is) or left Ireland all together. 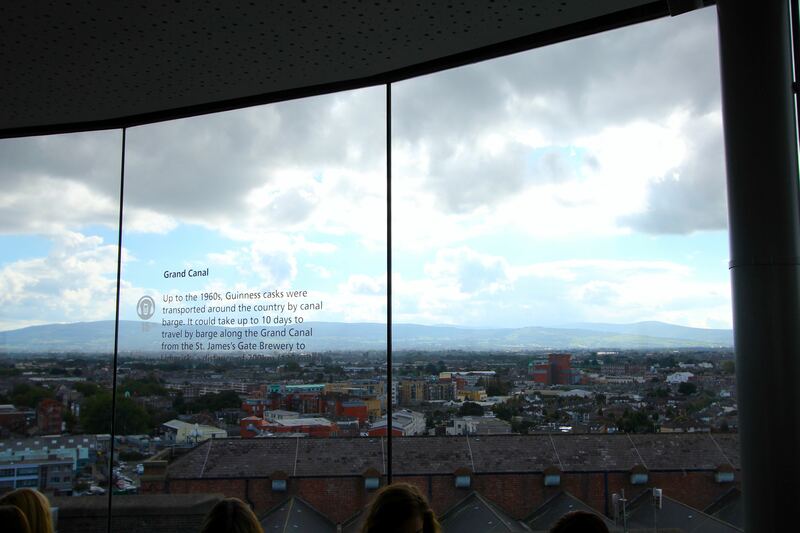 On Day 5 – we spent our time touring the city of Dublin before our evening flight back to Germany. 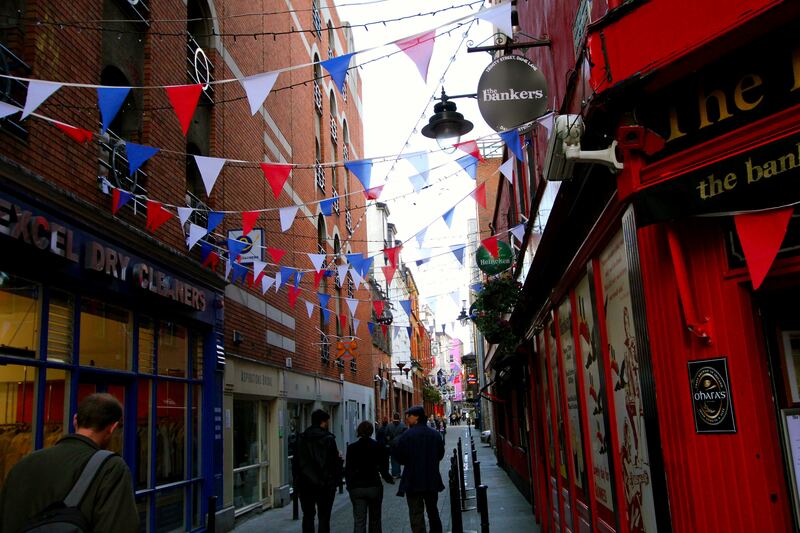 The city streets of Dublin are very festive and busy. 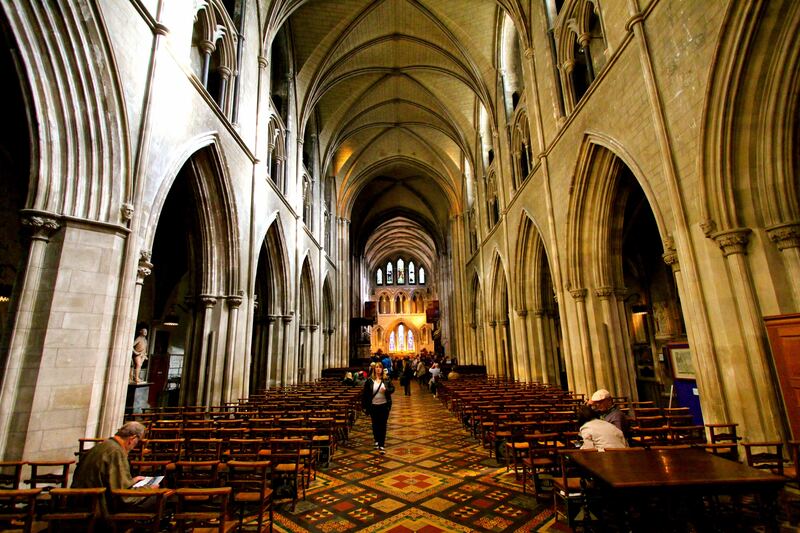 Inside St. Patrick’s Cathedral…..So, this St. Patrick guy was born in Britain when it was ruled by Rome in the early 400s. As a teenager, he was kidnapped by Irish pirates (yeah, I never heard of those either) and taken back to Ireland where he was forced to work as a shepherd. After 6 years, he escaped and came back to Britain, eventually entering the Roman Catholic church he was sent to Ireland to bring Christianity to the Druids and Gaelic people of Ireland. In the mid 400s, he converted countless people to Christianity later becoming a “Saint” by the Pope because of his efforts. 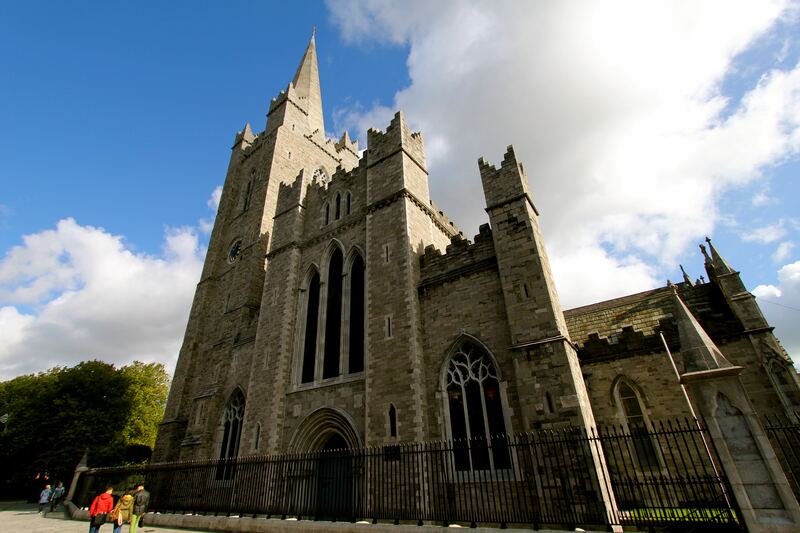 St. Patrick’s Cathedral….yeah, THAT St. Patrick! The original church was constructed in 1192 with various restorations over the centuries. The spire is 142 feet tall. 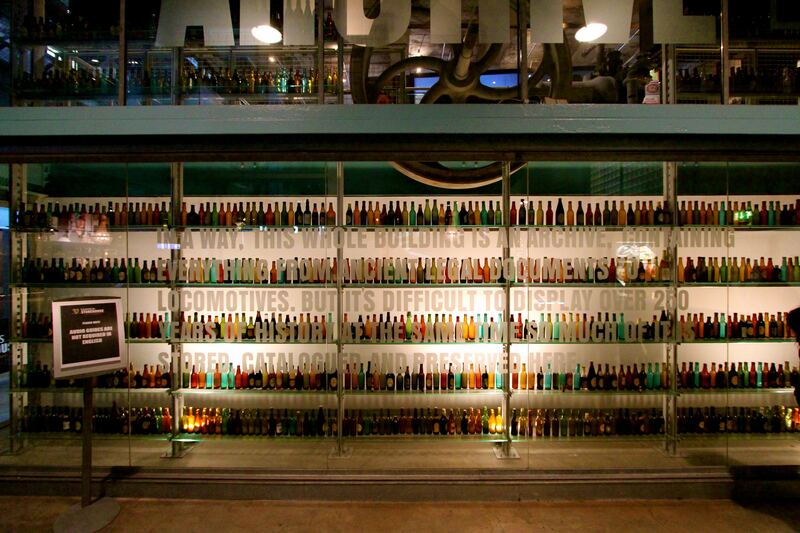 Our last tour stop was to the Guinness Factory. We toured the 6 story complex learning the history of Guinness and how it is brewed, distributed, and consumed not only in Ireland but throughout the world. 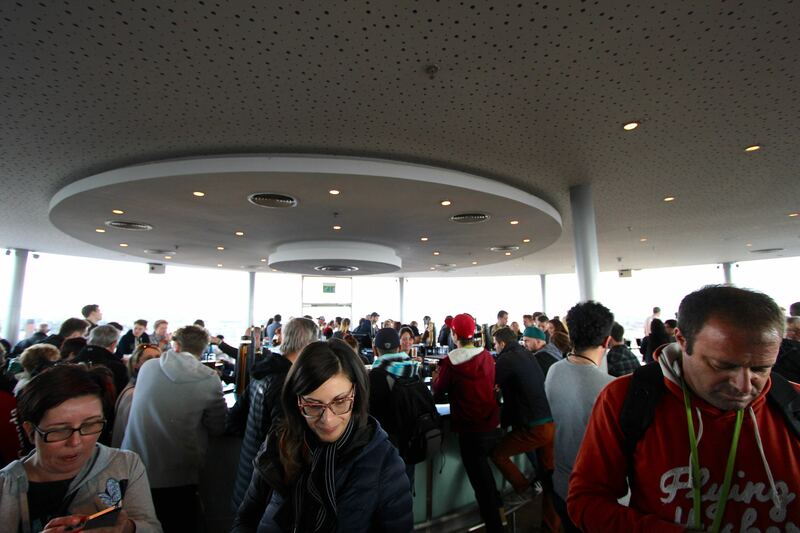 At the top of the factory is the Guinness Sky Bar, where you can try a complementary pint of Guinness and enjoy the view of Dublin. 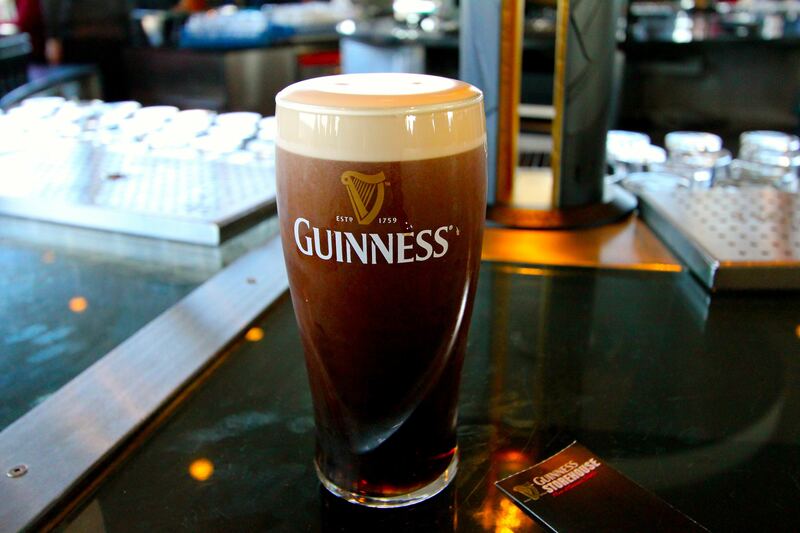 The Guinness Sky Bar is a busy place…..
…a complementary pint of Guinness…don’t mind if I do….but to drink it properly, you have to wait at least 2 minutes to allow it to settle….and it was DELICIOUS! !